In this post I’ll tell some history and basic information about the use of birch bark in Finland. Man has used birch bark for a long time. It has been used in building of log cottages as insulation between logs and the ground. It is used as a roofing material and man has been making everyday items from it for hundreds of years. Birch bark repels water really well and it decays slowly. After WWII the world became more and more industrial and birch bark was replaced by new materials. In the old days almost everyone knew how to use birch bark. Usually older men from the family made items from it when the younger and stronger men did the hard work at the farm. 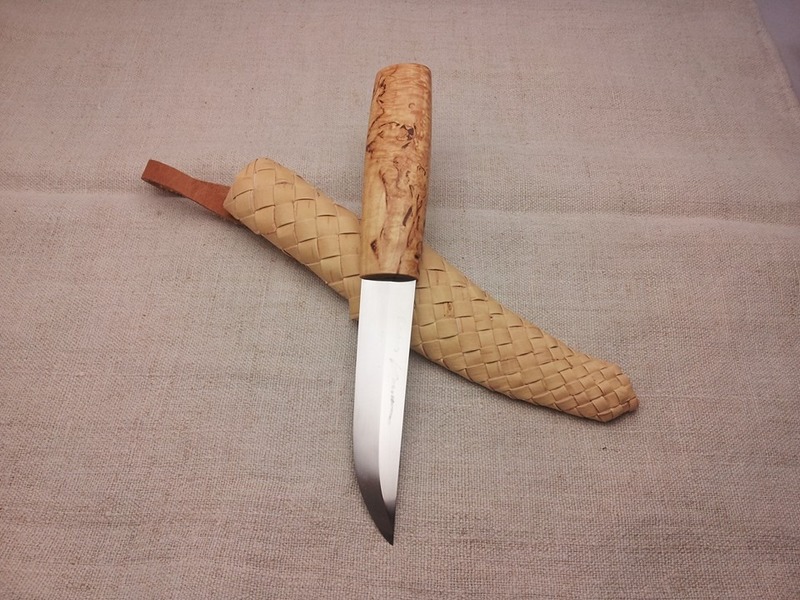 In the days when birch bark was commonly used man made backpacks (kontti), shoes (virsu), bottles for salt and water, bowls, hats, belts, ropes, rings, sheaths for water stones and axes, tuohituppi (birch bark sheath) for puukko etc. 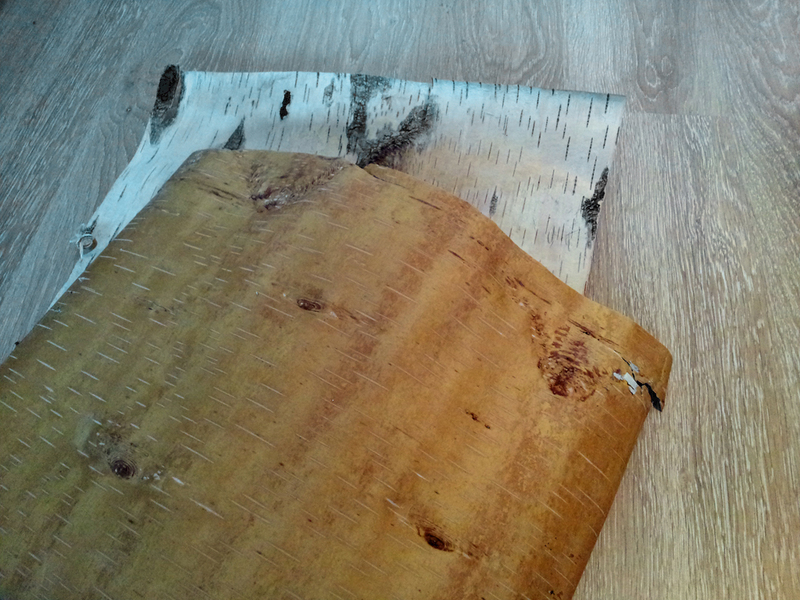 In some ways, birch bark is not very durable material. For example sandy roads grind the bottom of birch bark shoes away very fast. 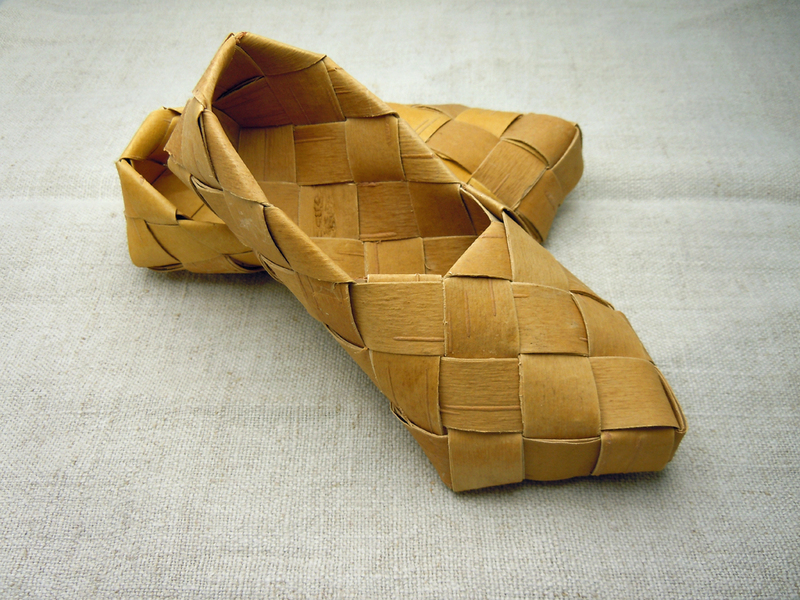 Birch bark shoes, virsus, were usually used in summer when men were working in the fields. According to an old Finnish phrase, virsus last two weeks of working in hay field. 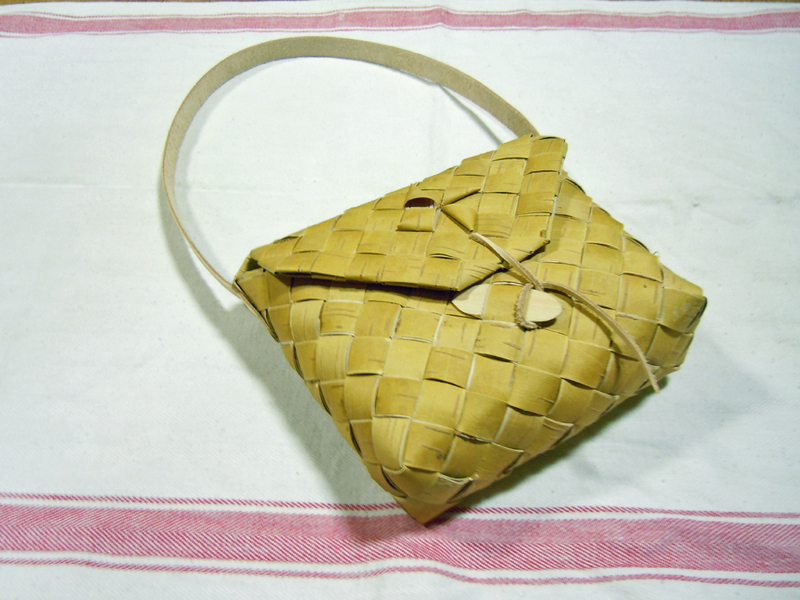 Kontti (backpack) was commonly used by loggers and in everyday use. Usually the carrying straps were made from leather. 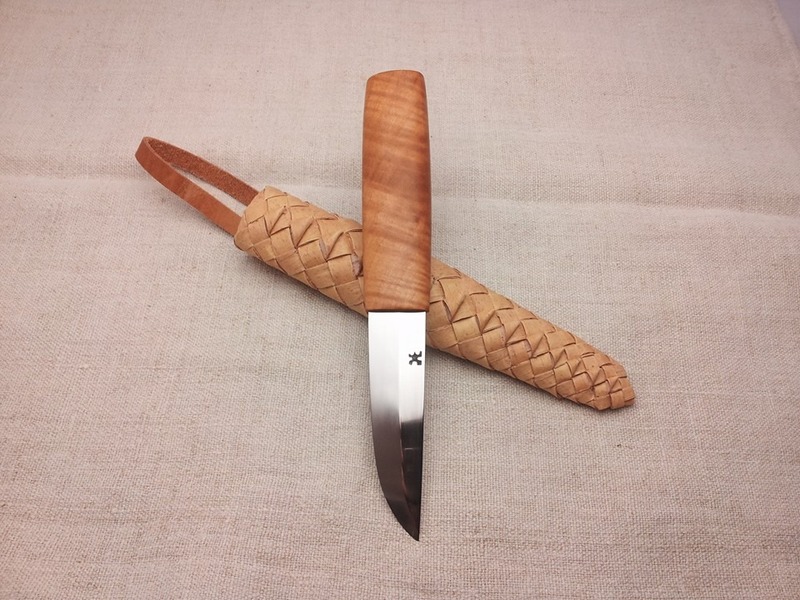 In long term use the birch bark broke from the point where it bent, the man had two options: fix it or make a new kontti. Birch bark gets harder when it gets older. Usually the birch bark products were replaced when they broke after drying and getting too hard. Depending on the quality of the bark and conditions of use the life of birch bark products was from weeks to years. Birch bark was used as big sheets on roofs, as insulation and as boxes for food. When it was taken as ribbon it was possible to wave in different shapes. It ribbons it was possible to make more difficult shapes. Man was very innovative using of birch bark. I have seen pictures of an adult man size suit made totally out of birch bark, of course it was just a showpiece, but it tells that you can make almost anything from it. Birch bark is 100 % ecological material. When it is taken correctly from birch, the wood keeps on growing and in few years it replaces the removed bark with new. Harvesting of the birch bark is done in midsummer. The last two weeks of June and first two weeks of July is the time called “birch bark month”. Of course if spring comes early the month starts earlier. After that time birch bark starts to stick on the wood and it gets harder and harder to get it off. Before that time it isn’t loose enough to rip off easily. On the surface of the birch tree there should not be any hard bits or lot of branches. A smooth and white surface is best. The birch tree diameter should be about 20 cm, if it is bigger the bark starts to be a bit too thick and hard. Birch bark can be harvested as sheets or ribbon. If you slice the trunk straight you have sheet and for ribbons you need to slice a spiral along the trunk. After harvesting sheets are put under weight to dry and the ribbon is rolled into a ball. Before using the birch bark should first be cleaned from dirt and then thinned. 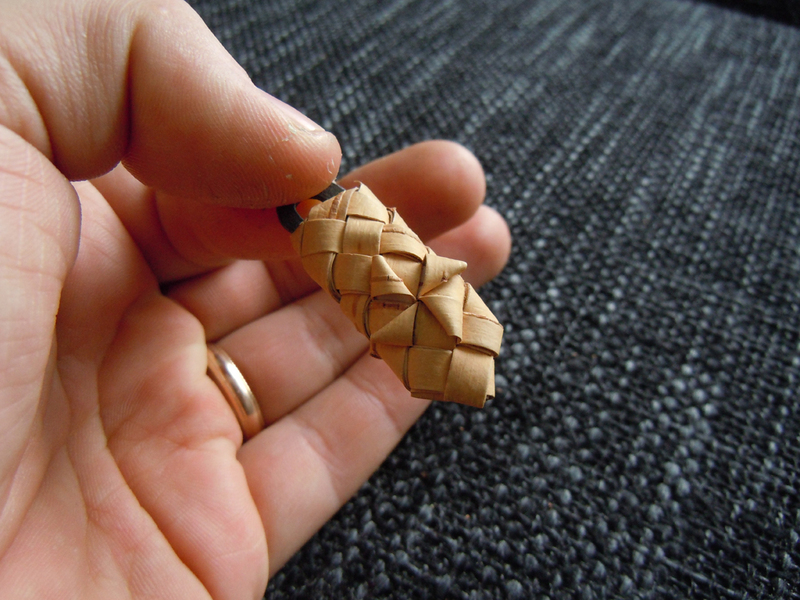 It is easy to make different thicknesses because birch bark has been grown in layers. Just split the sheet or ribbon from between of the layers. Birch bark has two different surfaces, there is the one that is next to the wood and the other is the outer surface. The surface which has been against the wood is always the final surface in products. It is cleaner, smoother and nicer to look at. 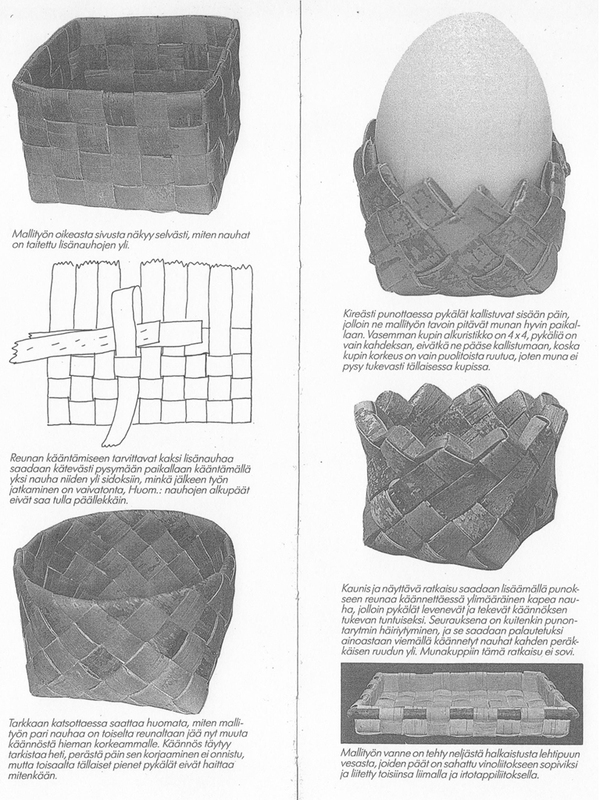 Birch bark can be woven in few different ways. 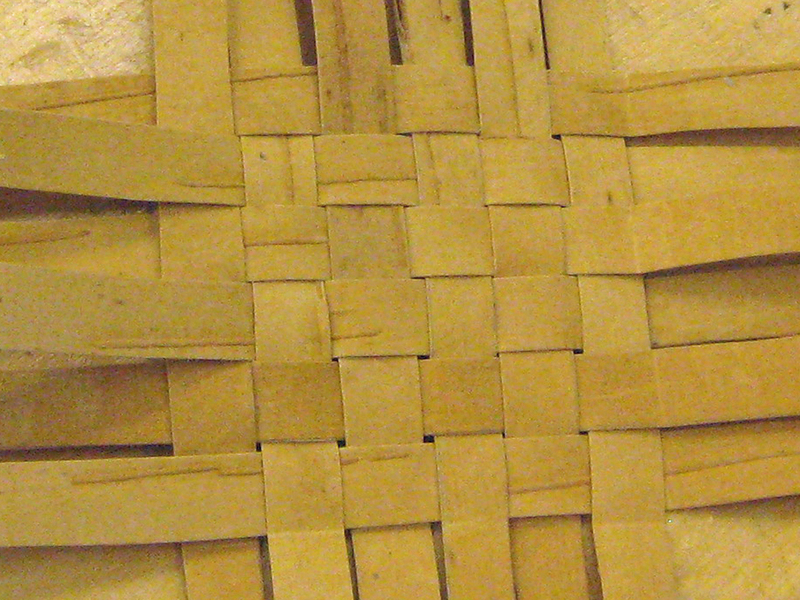 Basically the same techniques are used as in many other woven products. 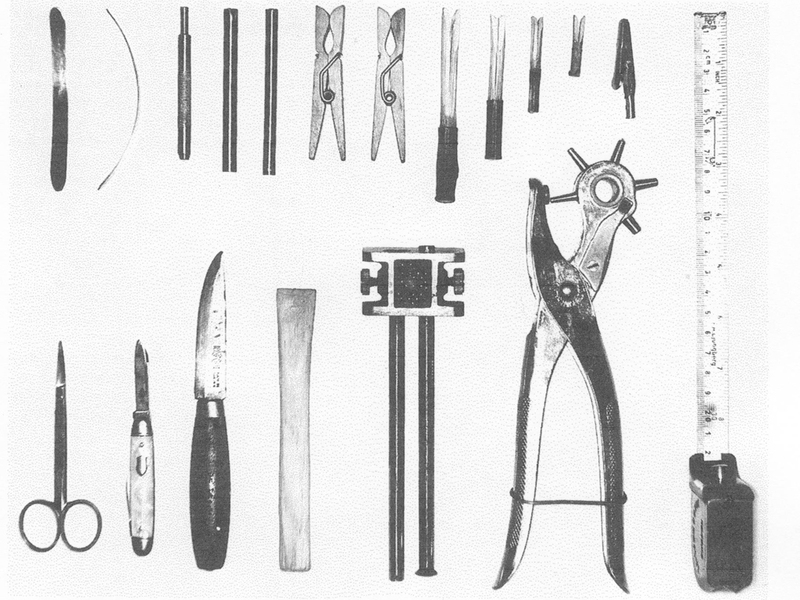 The traditional way, and almost basic method in every work, is to start with a square and begin working from that. The square is made with ribbons woven at a 90 degree angle. There is also a method where the ribbons are placed in 60 degree angle so that they make triangular shape in the weave. Usually in woven products the inside and outside has the same surface, because the ribbons are turned at the edge. 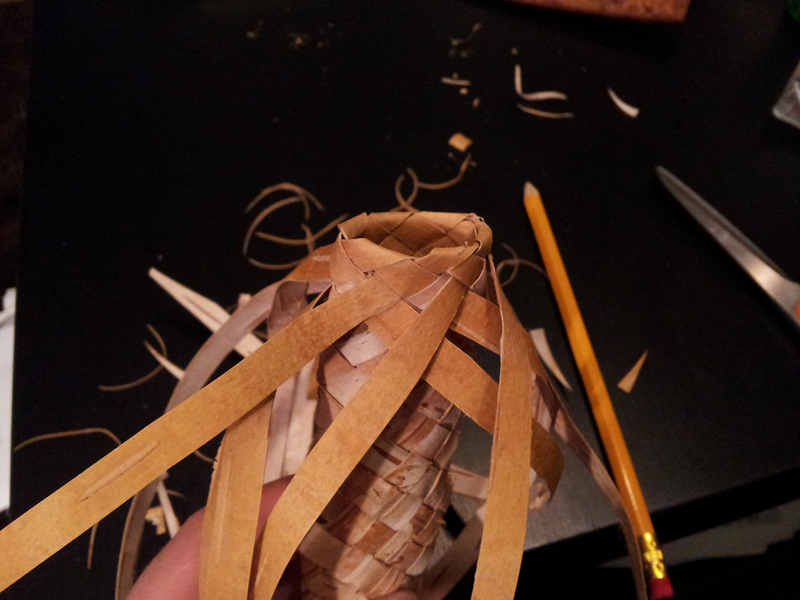 Because of weaving and the turning all the woven birch bark products have 4 layers of ribbon. When the product is woven it doesn’t need finishing. Birch bark stands time well and ages better is it is left in natural condition. 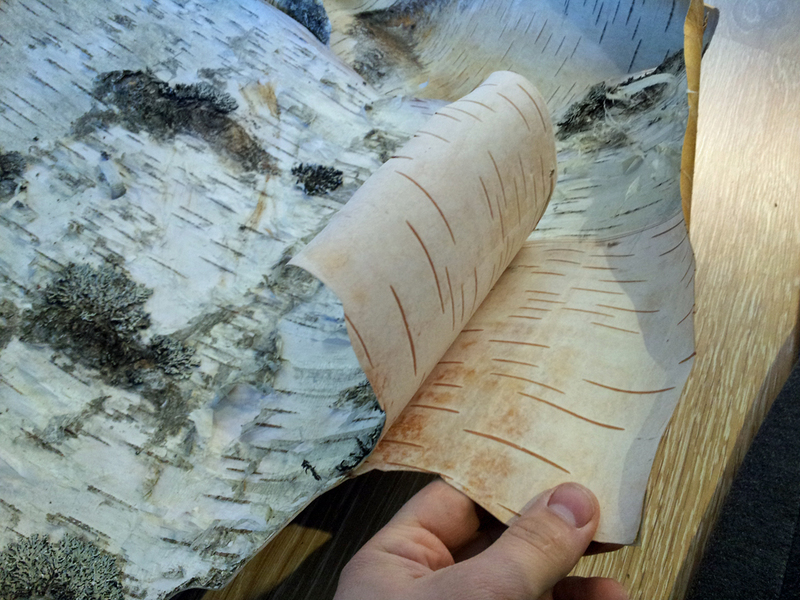 Here was a look into the history and basics of the Finnish birch bark culture. 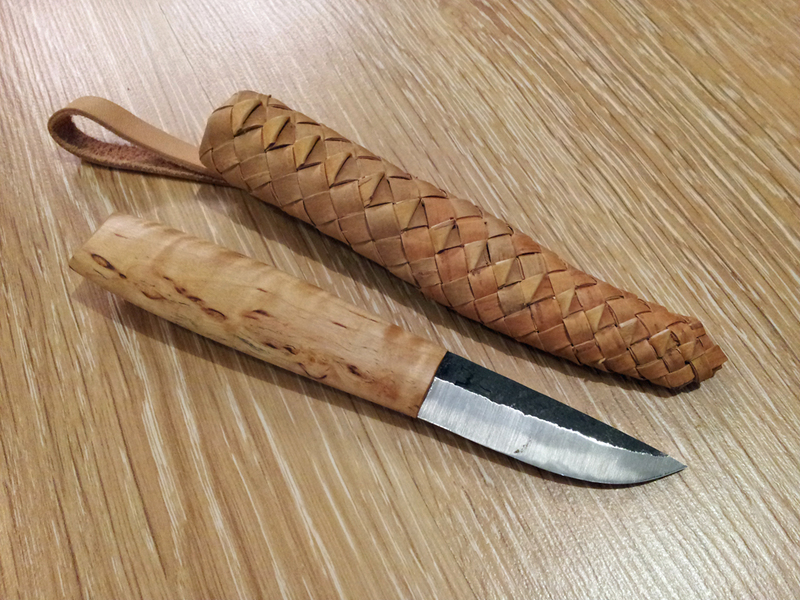 I will soon write a post where I’ll present birch bark sheaths and the process of making one.